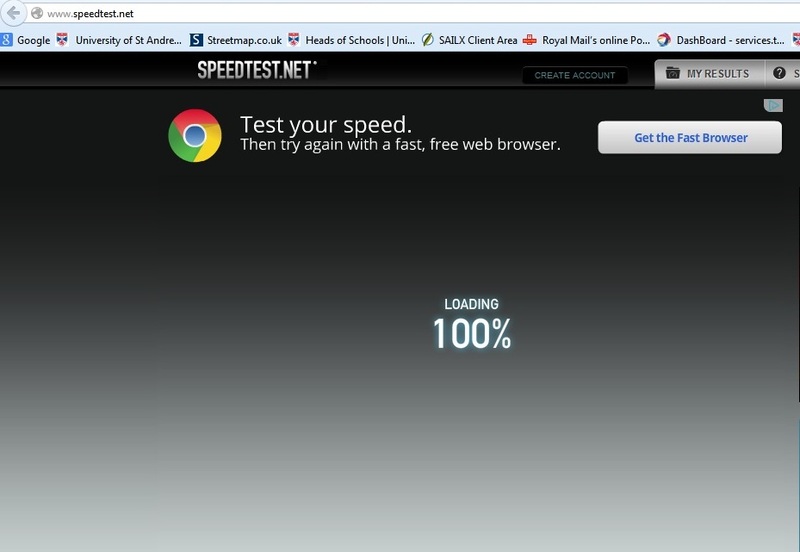 The Speedtest window will load. Do not click on any other icons on the screen. Wait until the "Loading" screen is complete. When the "Begin Test" icon appears, click on it. Wait while the software tests your speed. The test is now complete. You will not see numbers as high as this!!! 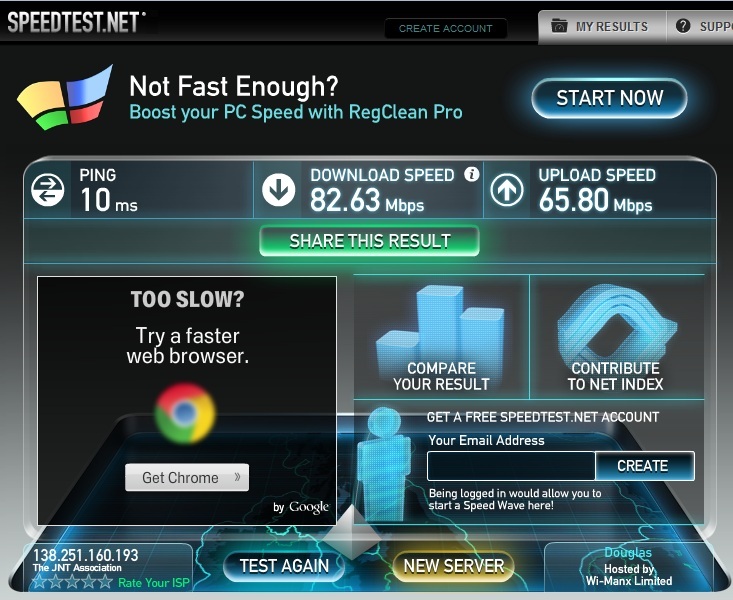 The example test was done on a commercial internet connection. 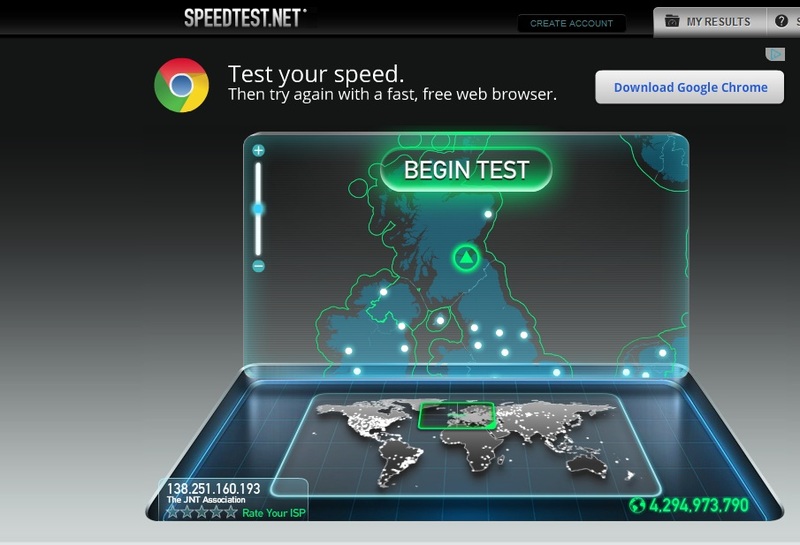 Download speeds of 1.1 Mbps and upload speeds of 0.3 Mbps could be expected in the East Neuk. 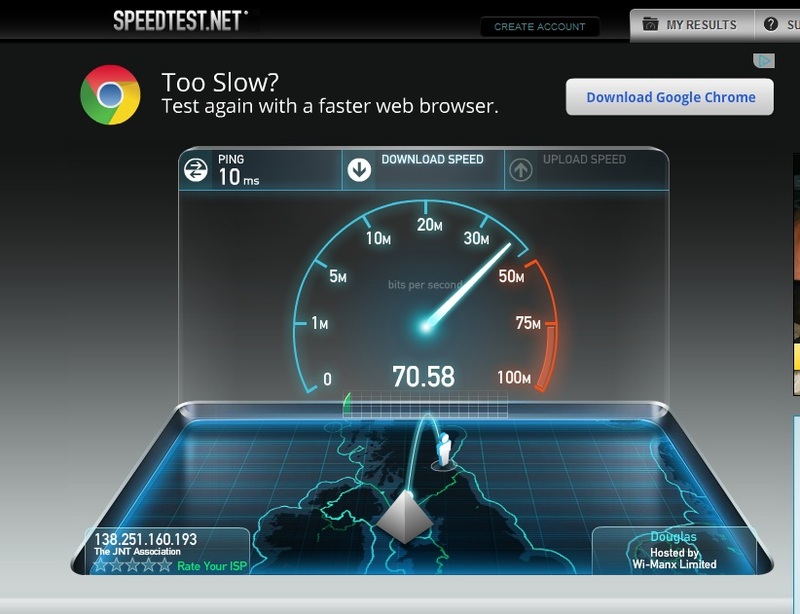 This is the standard test for broadband speed, and is what you need to do for the survey.